Salvation Army Captains Darlene and Dale Murray have helped to set up 10 parkruns. 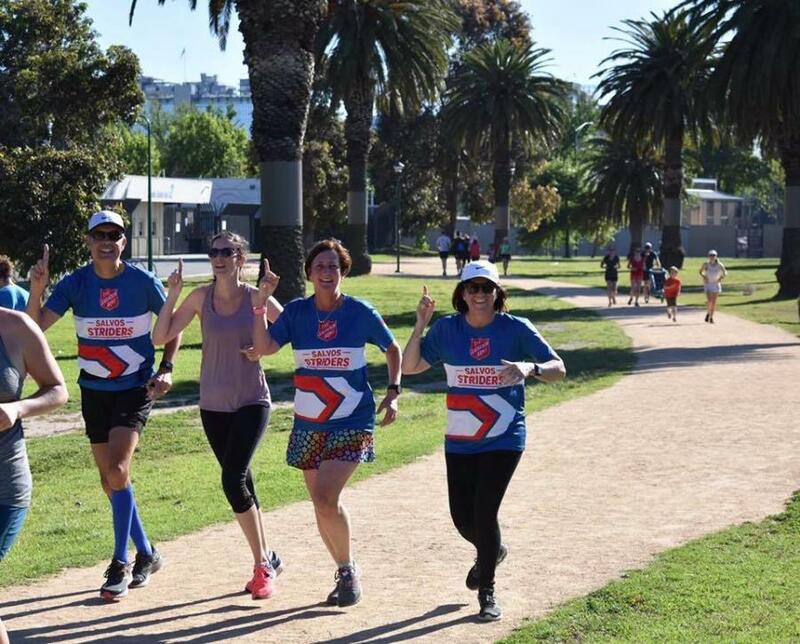 The Salvation Army’s running club, Salvos Striders, had a big presence at Melbourne’s Albert Park parkrun on the Saturday of the Still Others event. Salvos Striders is a running club set up a few years ago to encourage Salvationists and friends in their running pursuits, as well as inspiring Salvos to use running as a spiritual discipline and missional activity. Running has “taken off” as a sport across Australia over the past decade, and many Salvos are part of that trend. The Albert Park parkrunners in Melbourne during Still Others. Every Saturday morning, she and a few hundred other Salvos Striders don their Striders running shirts and head to parkrun, a hugely popular, free, all-inclusive five kilometre event, run by volunteers at hundreds of locations across the country (and around the world). The event is a run, jog or walk (not a race) with the focus on participation and encouragement. People of all ages and abilities can participate at their own pace. Ben Clapton, the Rochester Corps Officer (Victoria), ran the Albert Park parkrun on the anniversary of his commissioning. It was his 50th parkrun and the day he received his promotion to ‘Captain’. 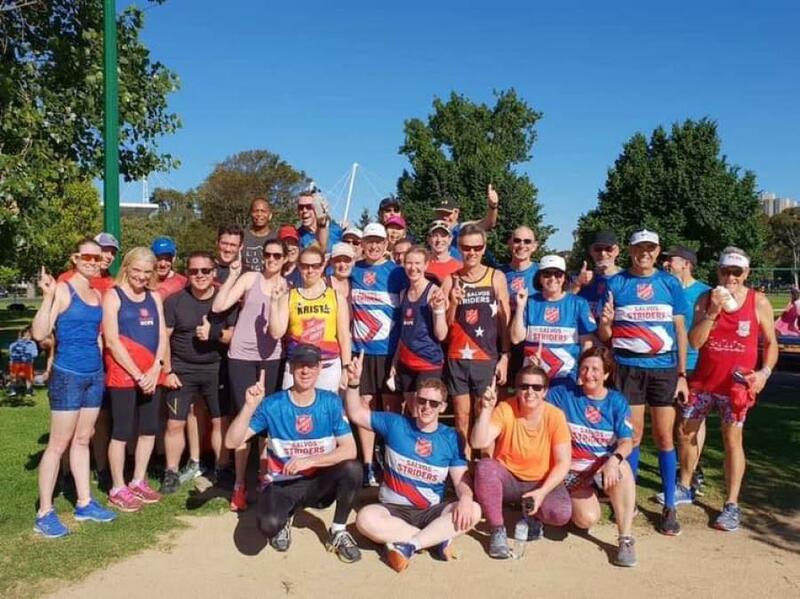 Fellow runner, Wendy Glen, an adherent at Box Hill Salvos in Melbourne, believes so strongly in the power of parkrun that she helped her corps set up a parkrun event at Gardner’s Creek. “We see a really strong alignment between parkrun and The Salvation Army in making healthier, happier communities, in seeing people as whole people rather than just evangelism opportunities,” she says. Each parkrun provides an absolutely unique opportunity for people to become physically healthier, as well as socially better connected. And, she says, The Salvation Army’s increased presence at parkrun events across the country fits perfectly with the announcement at the Friday night Still Others meeting that The Salvation Army is committing itself to opening new corps and faith communities across Australia. 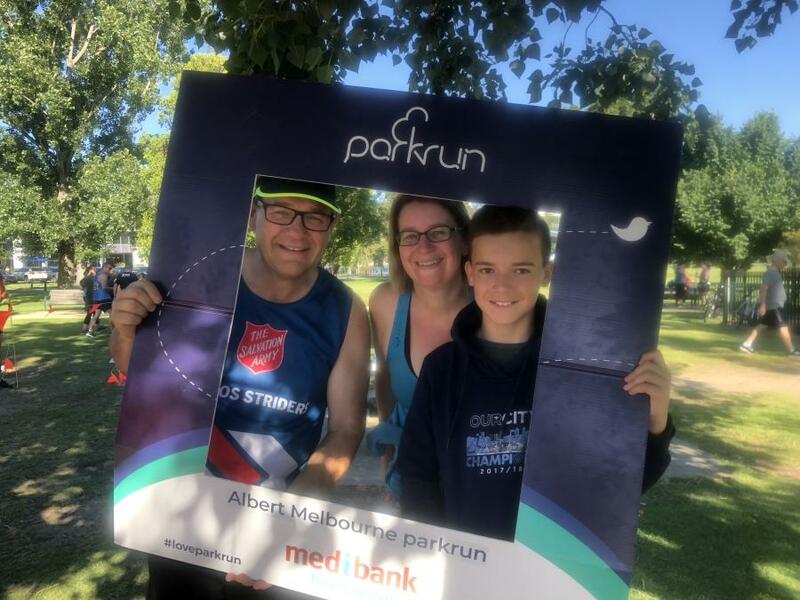 The woman, Rachel Hunt (pictured right with Bryce), says the group of Salvos Striders at Albert Park is the first group of Salvation Army runners she’s ever seen, and she’s looking forward to connecting again with Major Bryce at their local parkrun. Find out more about Salvos Striders on Facebook.